phplist forums • View topic - I can't make a new campaign, i'm finding a blank content. I can't make a new campaign, i'm finding a blank content. 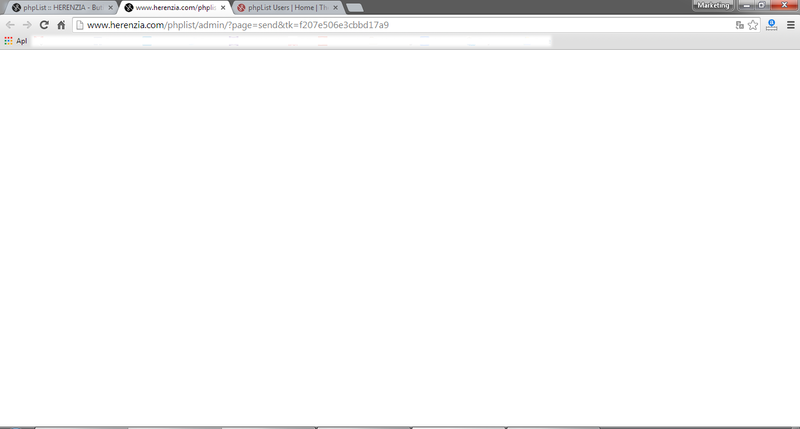 I a new phplist user from Indonesian. Why when i'm using PHPLIST by Internet Service Providers Kabel by TELKOM SPEEDY PT, a can't make new campaign. Example: when I click button "Start or continue a new campaign", i find the content website just a half second (see Url Picture1), after that i see the blank content in the screen (see Picture2). 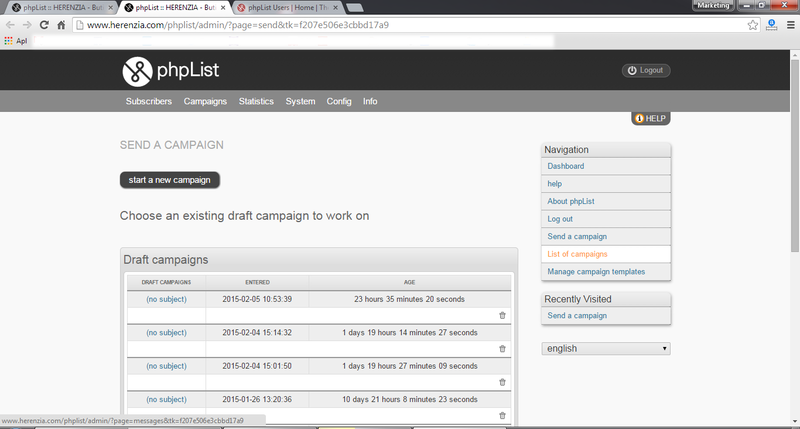 Some time later i'm trying using PHPLIST by Internet Service Providers by BOLT PT to make a new campaign, There is not problem. I did't know the solution. Please help me! My Internet Service Providers is TELKOM SPEEDY PT. I'm Using PHPLIST v3.0.12, Browser Google Chrome Version 40.0.2214.111 m.